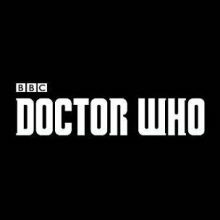 The new series of ‘Doctor Who’ starts on Sunday 7th Oct with Bradley Walsh stepping into the Tardis as Graham, one of the Doctor’s trusted assistants. This is just another interesting career move for the man with one of the most varied CVs in show business. Walsh is best-known for hosting game shows like The Chase and Wheel of Fortune, and will be familiar to Coronation Street fans for playing Danny Baldwin between 2004-06. This isn’t his first experience of the world of Doctor Who – Walsh says he’s watched the show for 50 years and even briefly appeared as a villain in spin-off show Sarah Jane Adventures in 2008. Don’t miss the return of the this family favourite this Sunday at 6:45pm on BBC One.